Playing any type of sport may be a lot of fun, but if you’re an athlete, you know that getting injured is a part of it. If you engage in contact sports such as basketball, rugby, soccer or football, you are most likely familiar with an injury to the MCL. MCL stands for medial collateral ligament. This is one of the ligaments of the knee, a thick band of connective tissue located at the medial (or inner) side of the knee which protects and stabilizes your knee joint and allows it to rotate. Though your MCL functions to protect your knee joint, it is also one of the most commonly injured part of your knee. 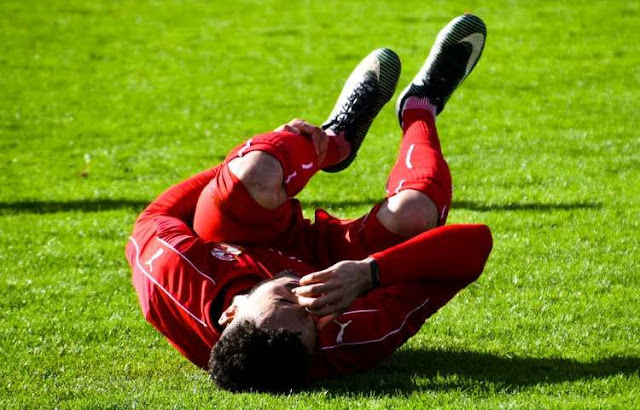 An MCL injury is usually caused by a hard blow to the side of your knee that makes your knee collapse inward. Sports activities aren’t the only causes of an MCL injury. If you twist your leg or turn it sharply, your MCL might also get damaged. • Rest. Aside from calling medical help, one of the first things you need to do is to protect the athlete’s knee from being moved unnecessarily. • Ice. To reduce the athlete’s swelling knee and to reduce the pain, apply an ice pack on the sore area for about 10-20 minutes. • Compression. Wrap the knee with an elastic bandage or any clean cloth if an elastic bandage is not available. This helps immobilize the injured knee. Elevate. • Elevate the athlete’s leg on a pillow so that his leg will be higher than the level of his heart. This helps prevent further swelling. Massaging the affected area. If you are already in the rehabilitative stage, your physical therapist might ask you to massage your recovering knee to lessen the stiffness and pain. Changing the bandage regularly. Always change your compression bandage. Make sure that it’s not too tight and not too loose. Doing passive and active exercises. These exercises help you strengthen your knees and restore your sense of balance. Stay active! Wear leg sleeves. If you want to get back on the basketball court, you can wear breathable sleeves for compression to give you additional support and comfort. Full recovery from an MCL injury can take up to a few months depending on the severity of the injury. Adhering to your doctor’s advice and observing these tips can help you recover faster from your injury. I hope you enjoyed this article about how to prevent and minimize athletic injuries to the medial collateral ligament. Interested in more web articles about frugal sports medicine?